For a long while there had been no gaming during traveling or lunch breaks. 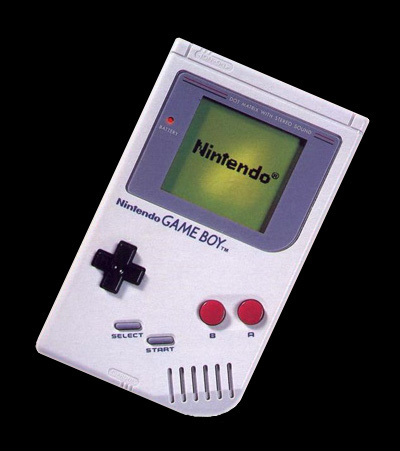 The old "Game & Watch" style of games became a bit too repetitive and mobile phones did not even get snake until 1998. The Game Boy and the Atari Lynx both entered the market in 1989 (the Game boy 1990 in Europe). The Lynx had more processing power and a backlit color screen but I did not buy one because of it's expensive price tag, bad picture quality and lack of good original titles. Many people talk about it's enormous size and short lived battery life as something negative but that was no concern of mine as long as I would be able to carry it with me and plug it in the nearest outlet. In 1991 Atari released the Lynx 2 for about half the price of the original Lynx which was more light weight, stereo sound output for the headphones and improved screen, but at that time the Sega Game Gear had grabbed my focus. So with the cheaper, weaker, monochrome screen and non-backlit surface, the Gameboy won my pocket.